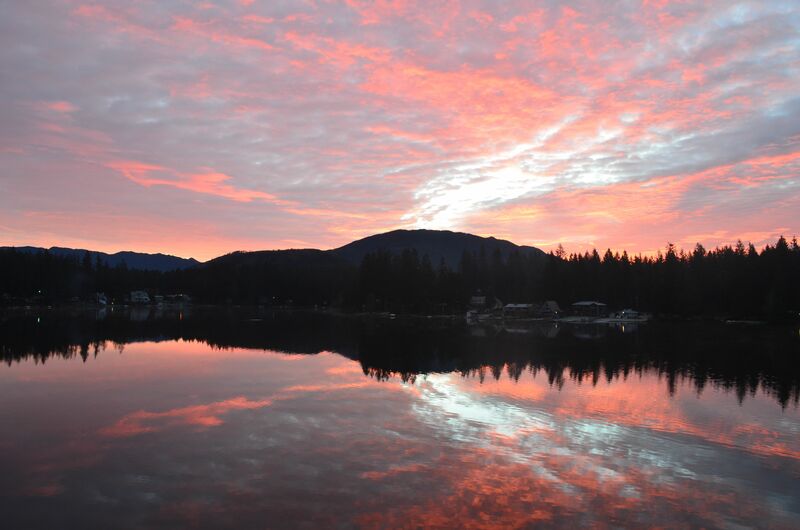 Nestled among the evergreens on the edge of a lake with mountains in the distance Lake Retreat and Conference Center is the perfect place to for RainyCamp! Great acoustics, good food, comfortable beds, warmth, and a weekend of song! Registration is closed for 2019 see you at camp. 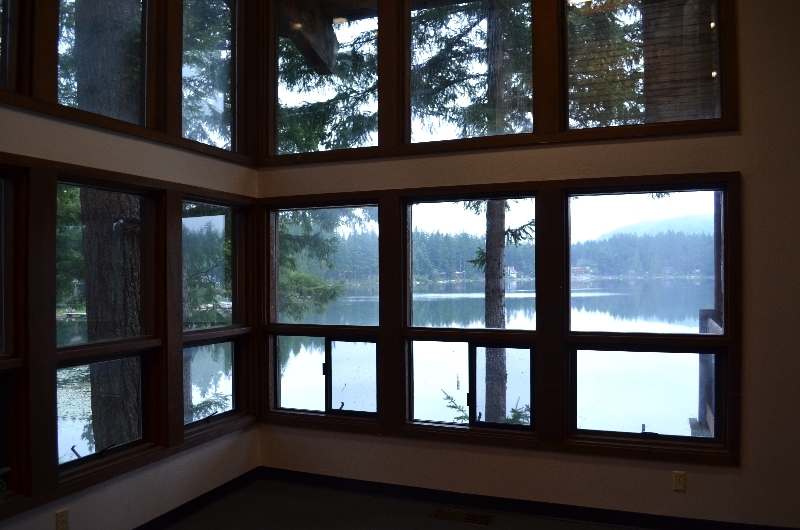 This is our fifth year for RainyCamp at Lake Retreat Conference Center in Ravensdale, WA! It is beautiful, has great acoustics, and offers paved walkways, much better workshop space and wonderful accommodations with heat and individual bathrooms with showers. The camp has Wi-Fi in most spaces. In 2017, we discovered what a nice space Okerson was for the concert, and accommodations. In 2018, several of these rooms went unoccupied despite acclaim by those who chose Okerson. There are a number of scheduled workshops on Saturday and Sunday, and always space left for do-it-yourself ones. 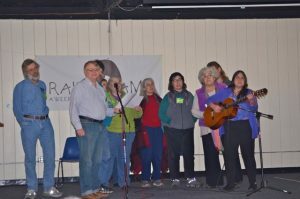 As RainyCamp is an offshoot of Seattle Song Circle, most workshops are in song circle format (participants take turns to lead, request, or pass), other workshops may be presentations or instructional in nature. Subjects in past years have ranged from Celtic, Sea Shanties, Bawdy and Parodies to Gospel, French-Canadian and Songwriting. 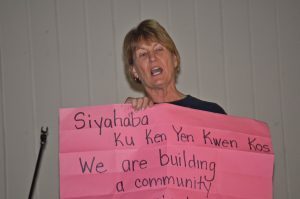 A materials allowance of $10 is available for workshop leaders. A small recording studio is also available. 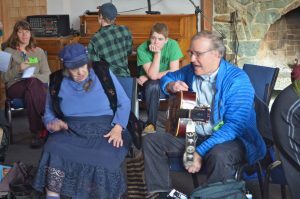 Although the primary focus of the weekend is singing, instrumental jams are common and space is available for them. 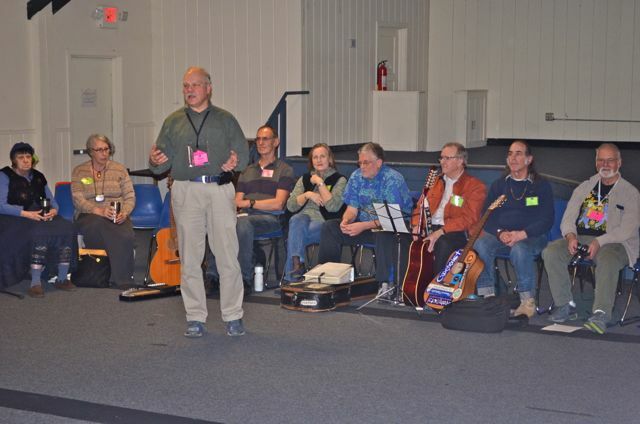 Friday Evening Song Circle — We kick off camp on Friday evening after the dinner with a big song circle. It is a very welcoming wonderful start to a weekend of singing. 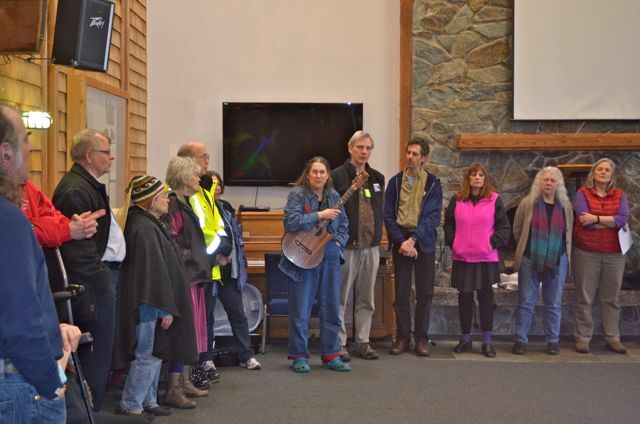 The Song Circle is held in the Chapel and some hardy souls will sing most of the night! Saturday Evening Concert — Saturday evening after dinner, we hold a participant concert that goes most of the evening. People can sign up to perform solo or with other campers. The concert is followed by several song circles in various late night workshop rooms as well. Lake Retreat has a wonderful chef and cooking staff. The food is great! All meals are catered by camp staff. Served buffet style both omnivore and vegetarian options are offered. (Please note that need on your registration form.) If you have special dietary needs beyond those you are welcome to bring along additional food. We kick off the camp on Friday evening with a hot meal. The Friday dinner has moved from a problematic potluck to an inexpensive catered meal that is a mere $10 additional. That’s cheaper than it will cost you to eat out! For those arriving later in the evening, we can box your meal and have it ready and waiting for you. Please call us that evening to select your meal. There is no alcohol allowed at camp per Lake Retreat Center rules. 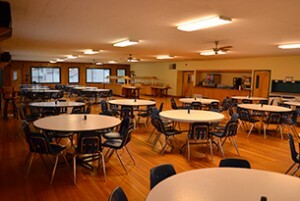 New camp dining hall below. Food served buffet style, coffee, tea and soft drinks at meals. Children are always welcome, but must be supervised, and their parents are responsible for seeing that this is done. We have no children specific activities but are open to adding some if you would like to take the lead. Please indicate on your registration if you’d be interested in planning some activities (e.g. nature walks, games, special music singing workshops for little ones, etc). 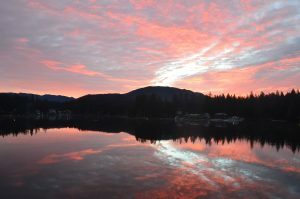 RainyCamp Silent Auction, to benefit the campership fund and help keep camp rates low overall. Bidding will open on the Friday evening of camp, and continue until Saturday evening. Shortly after the close of bidding, we will contact the high bidders so they can pay for and collect their items before the close of Rainy Camp. Please bring a checkbook or cash to help process payments. We are looking for donations of goods or services that we can auction off. (Donations that meet their minimum bid are tax deductible at their retail value). You can register your auction donation online ahead of time and save steps when you check in at camp. The link is here. 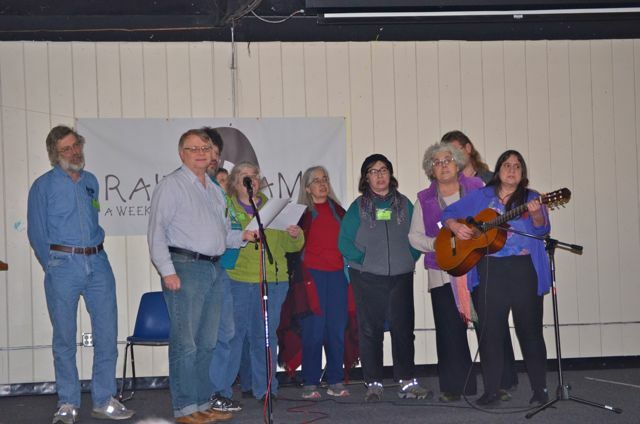 *RainyCamp is a program of the Seattle Folklore Society. We encourage you to join or renew your membership when you register. During early registration SFS members get a discount on adult tickets (or a discount on joining SFS!). Rates updated for 2018. Camp cost increased after 2017. 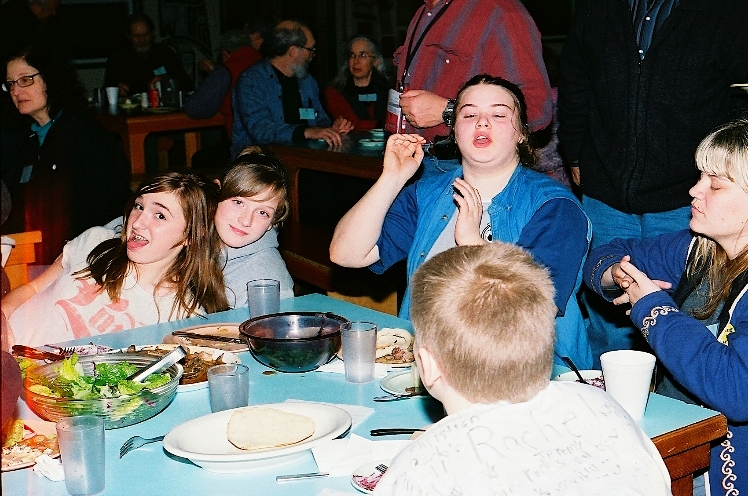 *The discount also applies to Portland Folklore Society since we have a reciprocal agreement for their camp. If the weather makes getting to the camp impossible (as opposed to just difficult), we will refund as much of your money as we can after deducting non-recoverable expenses. Otherwise, refunds will be as follows: Up to 2 weeks before the event, 100% refund (minus PayPal costs); Up to 3 days before the event, partial refund (again, depending on expenses); Less than 3 days before the event, no refund. 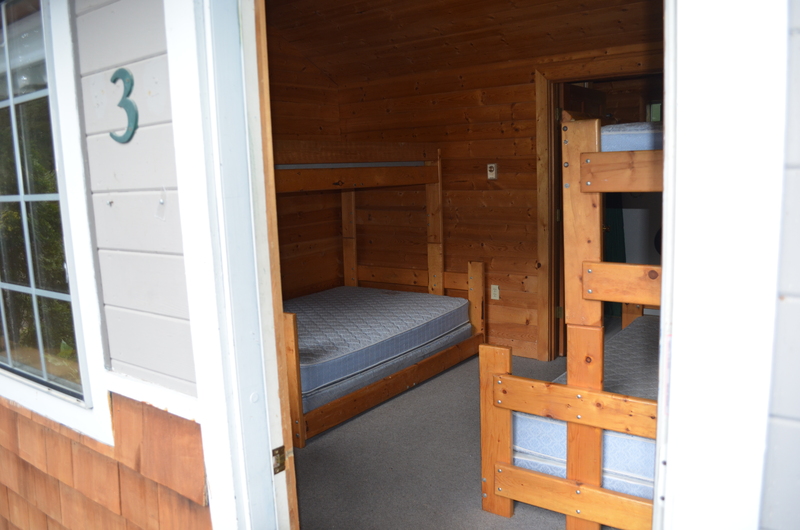 Most cabins have a mix of single bunkbeds (with ladders) and a double/queen bed and a private bath with shower. We are very excited about the great sleeping accommodations at Lake Retreat. Such an improvement! We have ample beds reserved so that though the dorm rooms are shared sleeping spaces there is room to spread out. Not all beds will be filled. There are no private rooms at RainyCamp, however, you can see who you are rooming with through the room sign-up system. Almost all the rooms have a combination of single mattress bunk beds (with ladders) and double/queen beds. All rooms have power outlets There are rooms for snorers, men only and women only, mixed, and rooms with handicapped access. Your registration confirmation email will provide you with instructions to reserve your bed and dorm room. Kids are welcome, but must have a parent or adult that is responsible for them. Lake Retreat (mostly camp) and Rainy Camp (mostly people). How do I reserve my bed? Go to the Room Signup 2019 in the RainyCamper menu. Read carefully and write if you have difficulty. I joined SFS also with my payment. I would like this to go in honor of Sandy McDonald. How fitting – Thank You. Looks like there are no vegetarian entre options . I signed up as vegetarian including Friday night. We asked for menus over a week ago and will post when received. Veg options should be available for all meals, but other preferences and requirements may be li9mited – the camp only officially offers Omni and Veg. Anyone with a selection besides omni will get the menu directly so that they can plan accordingly. The peanut information is a little confusing. The camps food service page says it is not a peanut-free facility. (Don’t know if that means the kitchen is peanut free, but other parts aren’t). Doesn’t matter to me, but important to be clear for those who this does affect. Good catch, the original information was from 5 years ago and I would go with the current web information. They have simplified meal prep in general. I have updated that information for RainyCamp. Will there be a protein offering for the dairy free menu for Saturday night dinner? Check under the 2019 Menu listing that just got posted 1/21/19. It lists the menu. If that is not OK, feel free to bring whatever you want and store it (well marked) in the Lundgren REFR or another in selected hilltop rooms. I see Vegan Chicken and Vegen Chili offerings. Bruce, is there a space for parking a smallish RV?